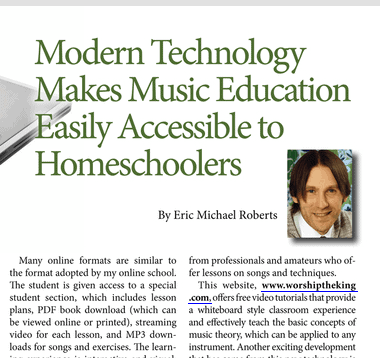 Click here to read Eric’s article on modern technology for learning music at home. We launched a new blog to share insights into the life of musicians and artists. Follow Eureka Park as we work on promoting music, playing concerts, producing and working in the music industry. This is a unique inside look at how it all comes together. Follow us on facebook, Twitter and on the blog today!